VPN is great for online security, online privacy and Internet freedom. Wouldn’t it be great if you can get a free VPN access and use the VPN for free? While you can find some free VPN offers on the Internet, it’s well known that most free VPNs can’t beat paid VPNs for speed, stability and security. However, do you know that you can even get free VPN accesses to some good paid VPN services? Yes, that’s true. You can do so by taking advantage of VPN free trial offers. What Is a VPN Free Trial? Most VPN services offer different pricing structures. For example, you can pay every month, every 6 months or every year, and the price varies for different plans. It’s quite reasonable for a potential VPN customer to worry about whether that VPN service would live up to his/her expectations. Therefore, if the VPN can be used for a short period time without actually paying, the customer can be sure whether or not he/she wants to make the long term commitment. That’s what a VPN free trial for. VPN free trials are offered by VPN providers to their customers so that the customers can use their VPNs for free for a short period of time. There are basically two different types of VPN free trials. For the first type of VPN trial, the VPN company doesn’t charge the customer up front (the customer might still need to enter his payment information such as a credit card number though) and the customer can get a free VPN access and use the VPN service for a short period of time. If the customer cancels the VPN subscription before the free trial ends, he/she won’t get charged at all. If the customer doesn’t cancel during the VPN free trial, he/she will then get charged and will be able to continually use the VPN service. The second type of VPN free trial is usually called a money-back guarantee. The VPN customer must enter payment information up front and he/she can then use the VPN as a regular paid VPN customer. However, there is a money-back guarantee period (for example, a 7-day period) during which the customer can get his/her money back if he/she cancel the VPN service. What Are the Best VPN Free Trials? We have evaluated free VPN trial offers from a number of VPN providers. We not only looked into whether their VPN free trials are “for real”, but also considered whether their VPN services are reliable. That’s because even if you get a free VPN access but if the VPN is terrible, there’s no point for us to recommend it. Based on our research, below are some of the best VPN free trials for 2017. Summary: A very good VPN service with a very generous 30-day money back guarantee offer. There’s no restriction during the free trial and you can get your full refund with no question asked. VPN Trial Type: 30-day money back guarantee. Restrictions During VPN Trial: None. How to End Free Trial: Contacting customer support to get your refund. Regular Price: Starts from $8.32/month. Payment Options: Credit Cards, Paypal, Bitcoin, Alipay, UnionPay etc. Customer Support: 24/7, online chat, very fast. ExpressVPN’s VPN free trial is offered in the form of a 30-day money back guarantee. There are a number of reasons for us to recommend ExpressVPN’s VPN free trial. First of all, ExpressVPN is a top-tier VPN provider with a large user base and enjoys very good reviews. Its VPN servers cover 94 countries and its VPN speed is very fast. To take advantage of ExpressVPN’s free trial, you need to enter your payment first, just as a regular VPN customer. However, if you decide that ExpressVPN is not good for you during the 30 day period, you will get a full refund. As mentioned on ExpressVPN’s website, this money back guarantee is “unconditional” with “no question asked”. The only thing you need to do it contacting ExpressVPN’s customer support, which you can get reach in a number of ways. We found the best way to contact ExpressVPN’s customer support is using their online live Chat, which is available 24/7. During our tests, we were able to get in touch with ExpressVPN’s customer support within 15 seconds every time. A 30 day VPN trial is indeed very generous. Combined with the fact that ExpressVPN is a very good VPN company, we highly recommend ExpressVPN’s free trial. Summary: A very good VPN service offers a 3-day free trial that doesn’t charge you until the free trial expires. No hassle for canceling the free trial. VPN Trial Type: 3-day free trial. Customer won’t get billed until free trial expires. How to End Free Trial: Log in your account on their website to cancel your VPN account before your free trial expires. No need to contact customer support. Regular Price: Starts from $5/month. Payment Options: credit cards, Paypal, Alipay. VyprVPN is one of the top VPN providers around the world. 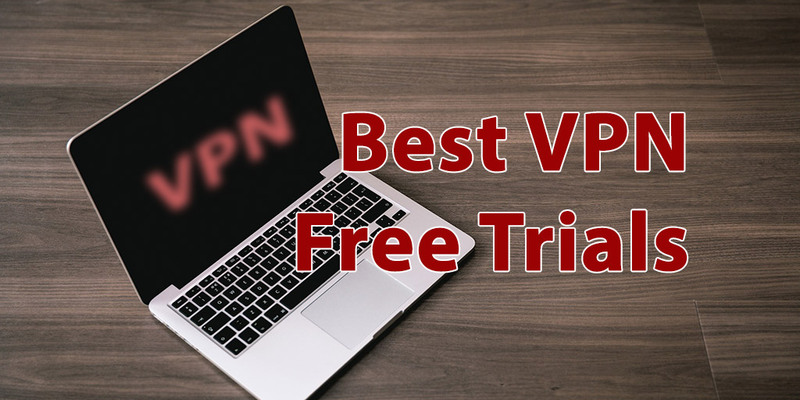 Although their 3-day free trial doesn’t sound as generous as ExpressVPN’s 30-day money back guarantee, there are some advantages in VyprVPN’s VPN trial. Unlike a money-back guarantee offer, VyprVPN doesn’t charge you until your free trial period expires. To end your VPN free trial with VyprVPN, you don’t even need to contact their customer support; all you need to do is logging in your account control panel on VyprVPN’s website before your free trial period expires and cancel your account there. It’s a hassle-free process. And there’s no restriction during the free VPN trial period, so you can enjoy and test VyprVPN’s service completely free. VyprVPN’s customer support is also very fast and reliable. You can contact their customer support team via online live chat 24/7. Summary: A good and low-cost VPN service with a 7-day money back guarantee offer. Some restriction applies in order to qualify for a full refund. VPN Trial Type: 7-day money back guarantee. Restrictions During VPN Trial: less than 3GB of bandwidth and less than 100 sessions to qualify for a full refund. Payment Options: credit cards, Paypal, Alipay, PaymentWall, Bitcoin, CoinPayments, Cashu, Gift Cards etc. PureVPN is a big VPN provider with a low VPN price. It’s one of the best cheap VPN services out there. Therefore, even without a free trial, PureVPN’s price is already at the low end. PureVPN’s free trial comes in the form of a 7-day money back guarantee. During the 7-day VPN trial period, as long as you haven’t used more than 3GB bandwidth and your VPN sessions have not exceeded 100, you can cancel your account and get a full refund. To do so, you need to contact PureVPN’s customer support, which can be reached 24/7 via live Chat. During our tests, we found PureVPN’s customer support are very fast to reach and very capable of answering questions. During a VPN free trial, you should make sure you test the VPN thoroughly. First of all, you should test whether the Internet speed is fast enough when you are connected to the VPN. Also pay attention to whether the connection is stable (does your VPN connection often get dropped?). If you plan to use this VPN on multiple devices (Windows PC, Mac, iPhone, iPad, Android phone, Andriod tablet etc. ), you need to test it on all of these devices. If you run into any problem, try contacting this VPN company’s customer support so that you can get some ideas on whether they offer good customer support. Please note that if the VPN company has any restrictions on qualification for a full refund (such as a bandwidth limit), you should make sure you don’t exceed this limit so that you can get your full refund if decide to do so later on. Most paid VPN services offer VPN free trials. If you are interested in buying a VPN service, you should definitely take advantage of these VPN trial offers to test out the VPN before making long-term commitments. We have recommended some best VPN free trials for you to choose from. You can try them to find out which one works best for you. This entry was posted in VPN Guide, VPN Reviews and tagged guide. Bookmark the permalink.